Supplemental Questionnaire: A properly completed Supplemental Questionnaire must be submitted with each application. Applications and Supplemental Questionnaires must be in the possession of the Human Resource Services Department by 5:00 p.m. on the Last Day of Filing. Applications will only be accepted on-line. Failure to submit the Application or Supplemental Questionnaire will result in disqualification. Applicants must submit a copy of their Class I and Class II Chloro-Fluoro-Carbon (CFC) certificate with the application by the last day of filing. Applicants may attach the required document under the resume tab. You may only attach one document under the resume tab. If your document is more than one page, please scan the document into one file, then attach under the resume tab. Applicants may also submit the required certificate by US Mail: Alameda County Human Resource Services Department, Attn: Elaine Lemi/BEMW CFC, 1405 Lakeside Drive, Oakland, CA 94612. Postmarks are not accepted. 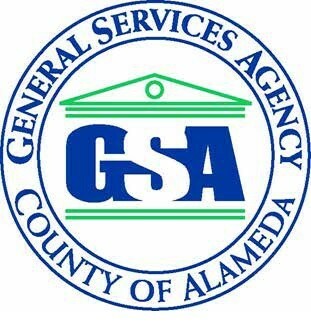 Alameda County's General Services Agency delivers a host of support services to County departments and agencies. These services fall into several major categories: Technical — architectural, engineering, energy and hazardous materials management; Building Maintenance — building maintenance and repairs, janitorial services and minor remodeling and alterations; Construction — new facilities and major remodeling; Procurement — purchasing and contract administration; Fleet Services; Childcare Planning; Human Resources, Payroll, Information Systems and Parking Administration. Under general supervision, to do semi-skilled preventive and corrective maintenance and repair work on equipment in County buildings, and to do related work as required. These positions are located in the Building Maintenance Department of the General Services Agency. Incumbents perform semi-skilled independent maintenance and repair work on plumbing, boilers, heating, ventilating, air conditioning, refrigeration, electrical/electronic, and related equipment. · Demonstrated experience in the repair and maintenance of electrical and mechanical equipment. · Willingness to learn and apply procedures or methods of repair. · Commitment to exceptional customer service. · Ability to work cooperatively with others to accomplish established work goals. · Strong organization skills and the ability to manage time effectively to ensure that all tasks and assignments are completed in a timely manner. · Ability to accurately complete work and tasks while paying close attention to all details. · Proven safety record with the ability to identify safety issues and take corrective action. The Environmental Protection Agency (EPA) mandates that any person who performs maintenance, service, or repair that could reasonably be expected to release class I (CFC) or class II (HCFC) substances from appliances into the atmosphere must possess a Chloro-Fluoro-Carbon (CFC) Certificate. This mandate is in place to ensure compliance with Section 608 of the Clean Air Act of 1990. In addition to the required experience described below, the successful candidate for the position of Building Equipment Maintenance Worker must possess a Class I and Class II CFC Certificate by the date of the oral examination. An applicant who does not possess a CFC certificate at the time of application, but otherwise meets the requirements, will be invited to the performance examination. Applicants who pass the performance portion of the examination must produce a valid Class I and Class II CFC certificate at the time of the oral examination. See the bulletin’s Selection Plan for tentative dates. The equivalent of two years in the class of Building Maintenance Laborer in the Alameda County classified service assisting Stationary Engineers, Building Equipment Maintenance Workers, Electricians or Plumbers in the maintenance of electrical and mechanical equipment. The equivalent of two years of recent, full-time paid experience in the maintenance of electrical and mechanical equipment. Must possess a class I and II CFC (Chloro-Fluoro-Carbon) Certificate, mandated by the Environmental Protection Agency for technicians servicing all types of refrigeration and air conditioning equipment. May require heavy lifting, working from ladders or scaffolding, and working in confined areas. Must be able to obtain and maintain security clearance from Alameda County Sheriff’s Office. • Common tools, materials, equipment and methods used in repair work in the plumbing trade and in electrical, heating, ventilating and refrigeration equipment maintenance and repair. • General knowledge of electrical systems, plumbing, and basic welding techniques. • Diagnose and repair problems with pumps. • Perform welding and other general machine shop work. • Perform boiler, condensate, and cooling tower water testing. • Fabricate, using materials such as sheet metal, round stock, angle and flat iron, pipe, expanded metal, screen, etc. • Use a variety of basic hand tools; e.g., wrenches, screwdrivers, drills, grinders, pliers, test equipment, sheet metal, metal fabricating tools and other machine shop equipment. • Follow general and detailed verbal and written instructions. • Establish and maintain cooperative working relations with employees and the general public. • Supervise and/or instruct inmates and/or other maintenance personnel as required. 1) A review of the candidates' applications and supplemental questionnaires to verify possession of minimum qualifications. Those candidates who possess the minimum requirements for the class will move on to the next step in the examination process, the performance examination. 2) The performance examination which will be qualifying only (pass/fail). Candidates who pass the performance examination will move forward to the next step of the exam process, the oral interview. 3) The oral interview will be weighted as 100% of the candidate's final examination score. The oral examination may contain situational exercises.